Carambola, Starfruit or Ma-fuang is an easy to grow tropical and subtropical tree. The tree prefers hot weather and stops growing at around 18 degrees Celsius. 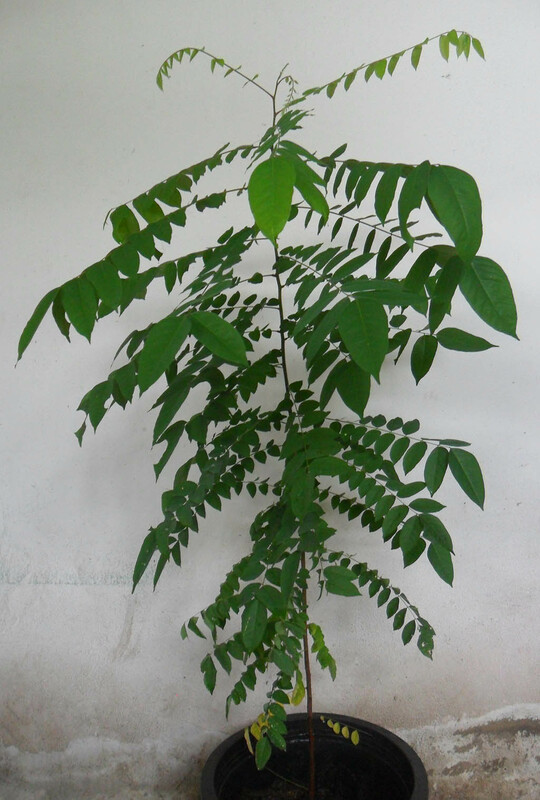 It can easily be grown in pots and containers. 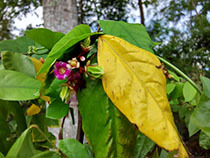 Seeds can be ordered online or obtained from grocery bought starfruits. 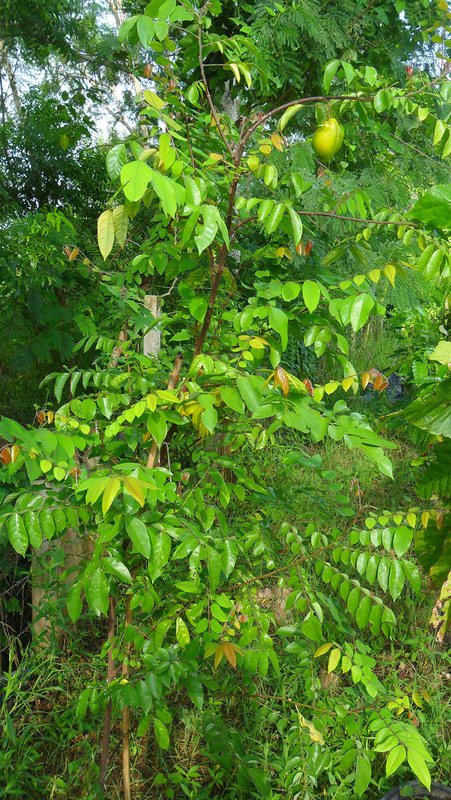 Carambola is sensitive to strong winds and drought. It needs to be planted in a wind protected place with well draining soil. You can expect your plant to flower and bear fruit within the first year. 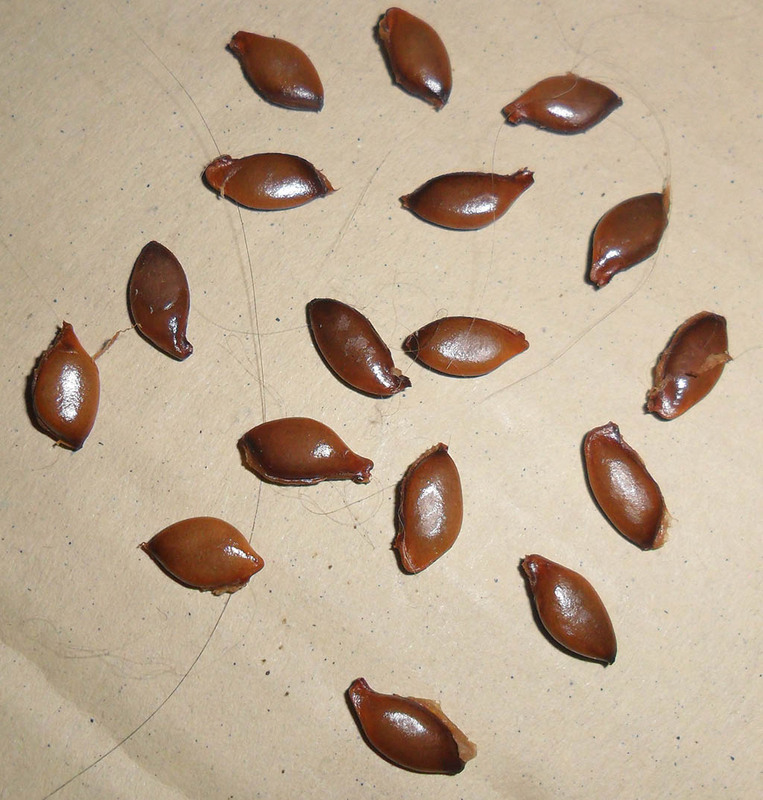 Carambola seeds look like apple seeds in shape color and size. It is best to get fresh seeds off a ripe Starfruit, there are between 5 and 20 seeds inside. Wash the seeds thoroughly and soak them in water for 24 hours. Now place them on a damp paper towel, cover with a second damp paper towel and put the towel sandwich into a ziplock bag. Close the bag with some air inside and place it in a warm place. The seeds are slow germinating and should sprout within two weeks. Look inside the bag from time to time and discard seeds which got mold infested. Two weeks after placing the seeds into the ziplock bag the seeds should have sprouted. 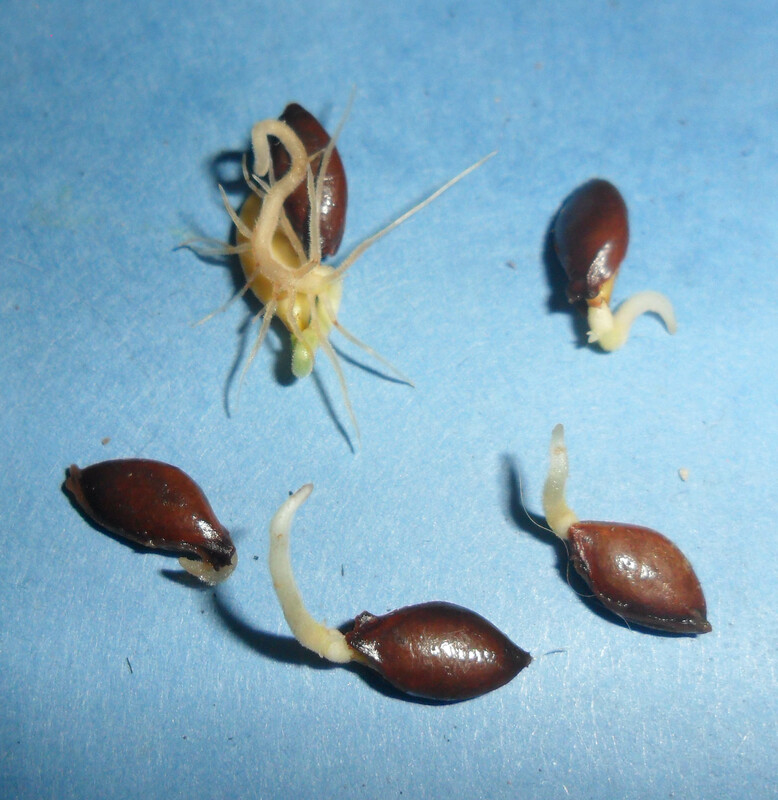 A root is protruding from the seeds as shown in the picture. Remove the germinated carambola seeds from the paper towel and plant them about 0.5cm deep into 10cm pots or suitable plastic bags filled with a good potting mix. Put the pots in a shaded area with no direct sunlight and keep the soil moist. After another week, 3 weeks after starting the seeds the seedlings have emerged from the soil and are developing their first set of leaves. Don't forget to regularly water the seedlings and keep the soil moist. 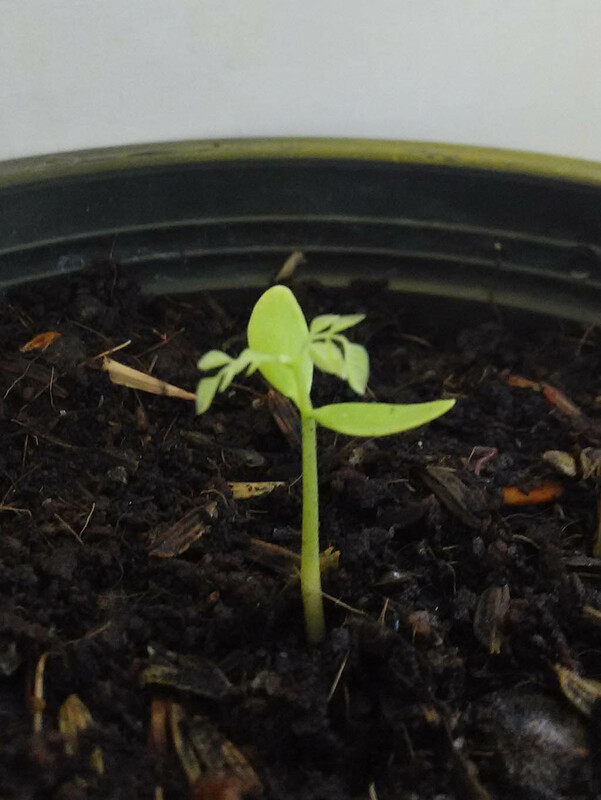 After 4 weeks the Carambola - Starfruit seedlings have a height of about 5 to 10 cm and have several sets of leaves. The trees start to develop fast now. There is not much to do except watering. 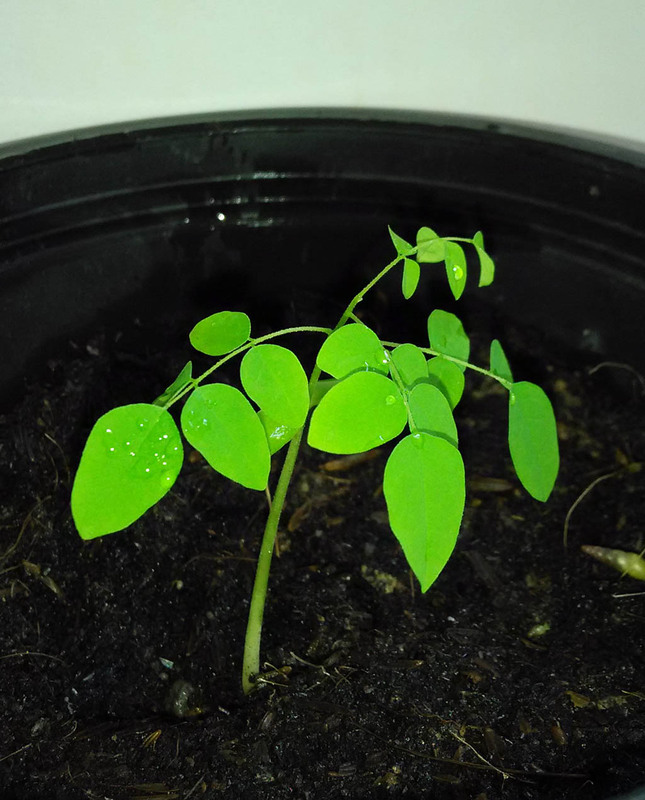 At 3 month of age the Starfruit plants are around 30 to 50 cm high, they should be transplanted to larger pots with a diameter of around 25cm. If keeping them in too small containers for too long the leaves will wilt and fall off. 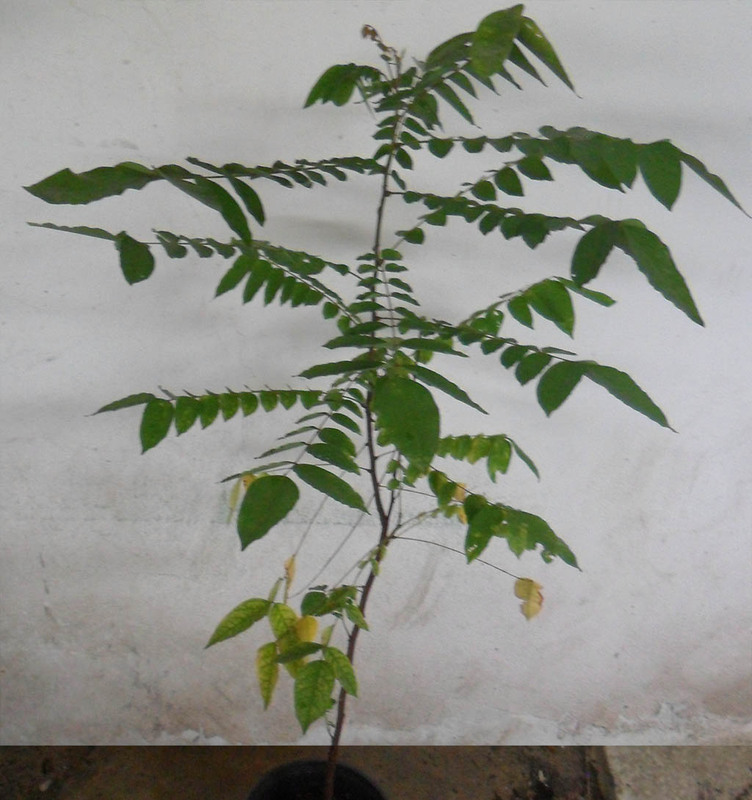 At 6 month of age the Starfruit plants are around 70 to 100 cm high, they should be transplanted outdoors or transplanted to containers with about 50 cm in diameter. The top shoot should be pinched off to encourage the seedling to develop branches. After one year the Starfruit trees are now between 150 and 200 cm high and already bearing their first fruits as you can see it when you enlarge the picture.